1.Make Easter even more festive this year with our LED Bunny Ears Headband! 2.With our light up bunny ears you can hop your way to a fun and festive holiday! 3.These light up bunny ears come as a headband with a radish. 4.Perfect for school parties,family celebrations,Easter parades,and other holiday events, these light up bunny ears will be a hit with kids and adults alike! 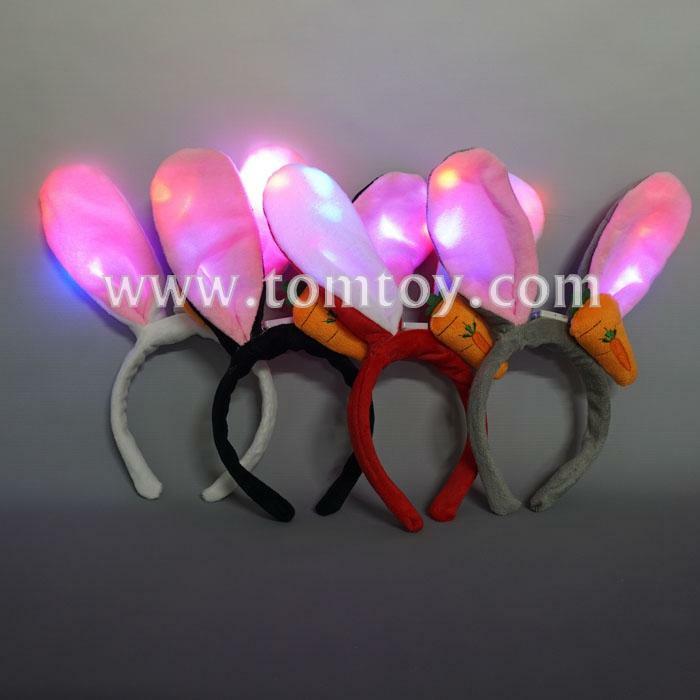 5.Each pair of light up bunny ears comes with three AG13 batteries included and installed.